5. Online Business : Androids phone are basically the new trends used for making money online. Most site and business owners are gradually making an apps of their sales page, sites and posting them on Google play where their users can easily get across to their listed applications and sites. 6. Earning Money : Android apps posted by Google mobile developers for Android users is the new way to make money. You only need to develop an apps, post it on Google play or store and earn commission on every downloads you get from your apps by Android users especially when the apps is a paid version. This is called profit making from Google through Androids. 7. Number of Users : The number of users of Androids surpasses the Blackberry users. This means your Business get the exposure it wants easily on Android devices than Blackberry especially if you are a website owner using paid advertising platform like Google Adwords, Adsense, Facebook ads etc. 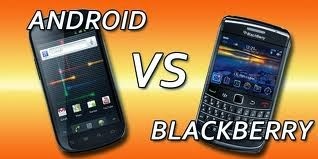 Many more facts why Blackberry is better than Androids for Business or in Business will be posted in our next post. Please keep your finger cross and thanks for reading this post.